1. 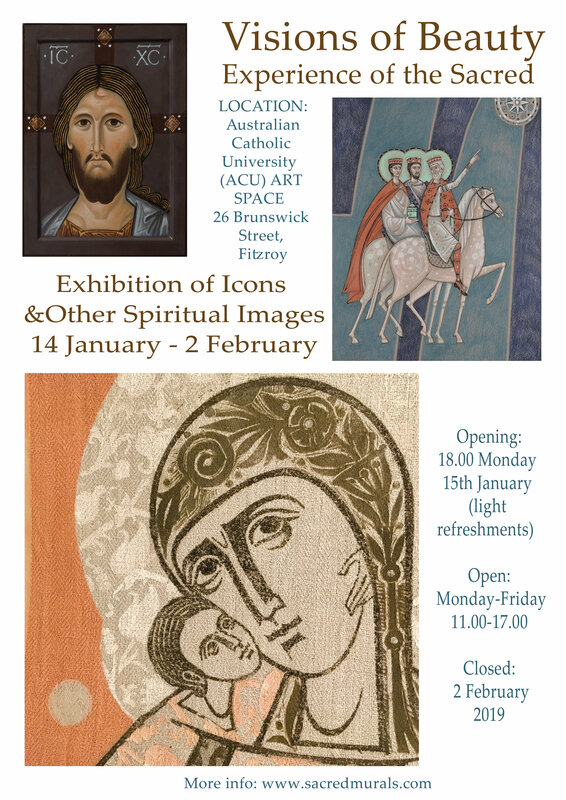 EXHIBITION in Melbourne - Visions of Beauty 2019! We should begin installation on Saturday, 12th of January 2019 in the morning, usually it's something around 10 or 11 AM at Brunswick street 26, Fitzroy Melbourne, Australia. If you plan to bring your image (and/or object), make sure it has a hook or anything else to hang it on the wall and please, email us the title in advance, so we may print out all labels together so they look uniform. Choosing works for the exhibition we give our preference to larger scale pieces. Those, who have already participated, remember, - we do our best to include all the images/sculptures/objects in the show, but we can not guarantee that everything you bring will be exhibited. 2. THE GILDING WORKSHOP in Melbourne still has some spots. Welcome to join us, - we will investigate possibilities gold provides to an iconographer and try to get as good as we can in Assist Gilding. As previously, we invite you and all our subscribers and friends to share with us the titles of your most favorite books - most decent and serious studies, as well as uncomplicated and well reasoned original books, worth to be shared with everybody. 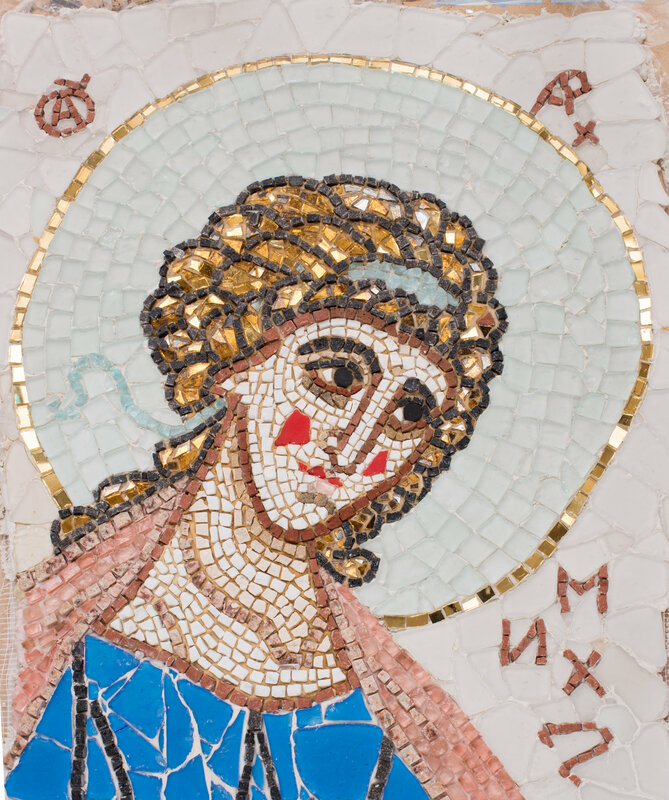 They should help people to enter the world of Christian iconography and to see right benchmarks and values right from their very first steps, as well as those, fitting professionals' needs, helping to understand own work in a deeper way. 5. 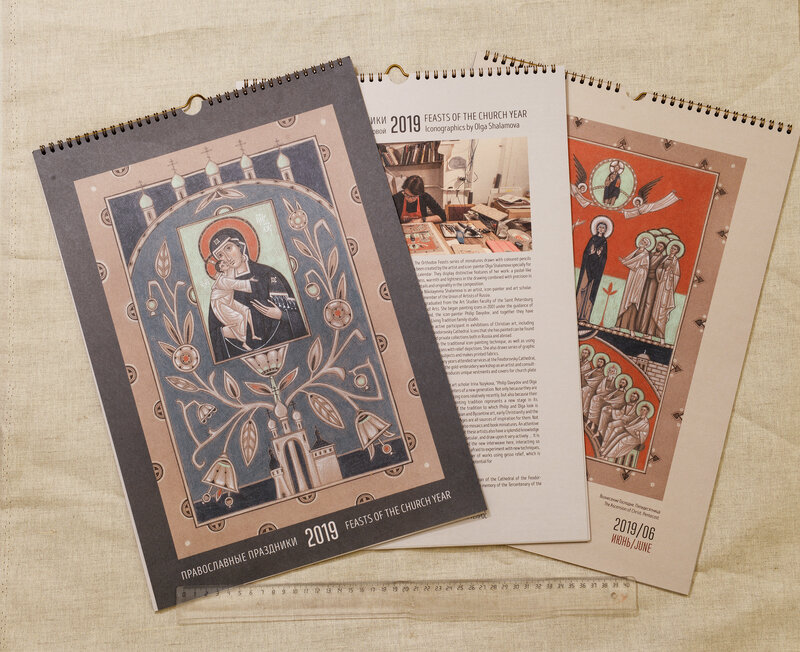 Little advertisement, - our parish (Feodorovsky Cathedral, St Petersburg) has published a Calendar with Olga's graphic images. The Calendar consists of 14 full color pages (12 Feasts), page size 44 X 31 cm (18 X 12.5 inches). The introduction is written by Fr. Alexander Sorokin and translated by Paul Williams. We only will ship the Calendar orders made no later than Sunday the 9th of December 2018. Cost of one calendar with worldwide shipping is US $20. Please note, the shipping is performed with regular registered Airmail. The Post Office kindly informed us that the regular shipping time to the US, Canada & any European country is about 2 weeks, although in Christmas/New Year period, it takes longer. Summer Program VISIONS OF BEAUTY 2019. Great Novgorod, and St. Petersburg.The Program will be in English.